Develop the qualities of strategic leadership and become an active contributor to the short- and long-term success of your organization. Today's organizations face two daunting challenges: how to create new sources of competitive advantage to sustain long-term growth, and how to engage leaders at every level of the organization so that they are more proactive and forward-looking in their area of responsibility. The Art of Strategic Leadership uses a unique approach to examine what it means to be a strategic leader. Instead of focusing on the skills, behaviors, and tools found in typical books on strategic leadership, the authors shed light on the attributes and qualities necessary to lead strategic change and help transform a business. Strategic leadership is what modern leadership is all about. Organizations expect leaders to anticipate and be proactive more than ever before. 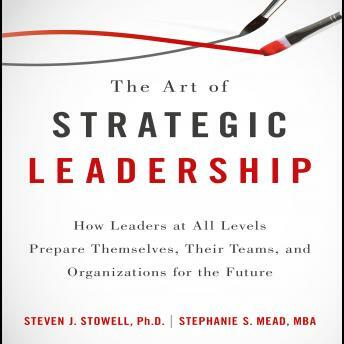 In this book, the authors draw on their vast experience working directly with leaders at all levels and use an intriguing narrative to explain this inside-out approach to understanding strategic leadership. The narrative follows the journey of how one manager discovered these critically important qualities. You will experience first-hand how these values and attributes manifest in the lives of realistic leaders, how they orchestrate long-term strategic change needed for the organization to compete and survive, and actively shape the future while delivering short-term results.